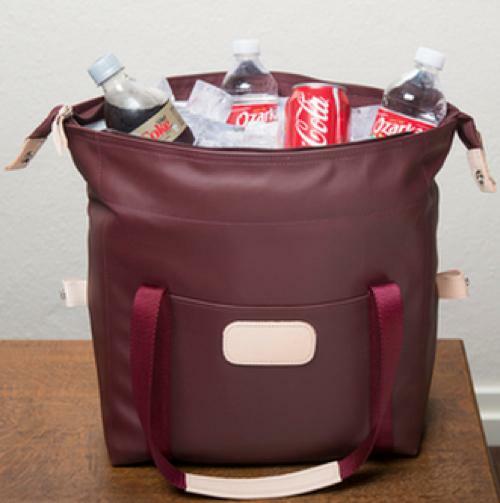 This monogrammed Large Cooler by Jon Hart Designs comes in 16 colors.The granddaddy to our ever popular regular sized soft cooler can easily hold two twelve packs with ice, includes 1" thick foam insulation, and is still comfortable to carry with a convenient padded shoulder strap. Size: 15h x 18w x 8d. 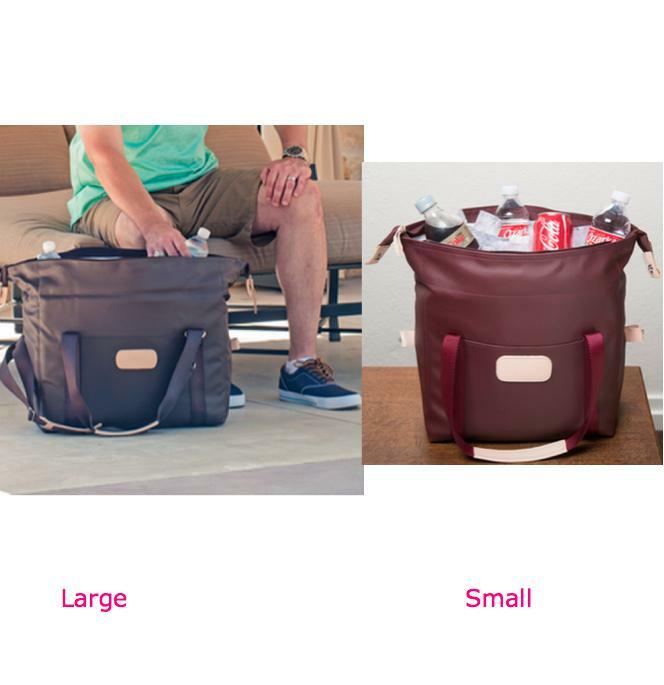 These coolers are made of durable coated canvas and have natural leather trim. Located on one side is a leather tag that holds your monogram, text or name ( up to 11 characters). Personalization is made with a heat stamp that is stenciled into the leather and you have the option of foiling in silver or gold for a little more flair. If you choose a 3 letter monogram it will be in all caps. We have our new traditional monogram style with the last name larger in the middle. 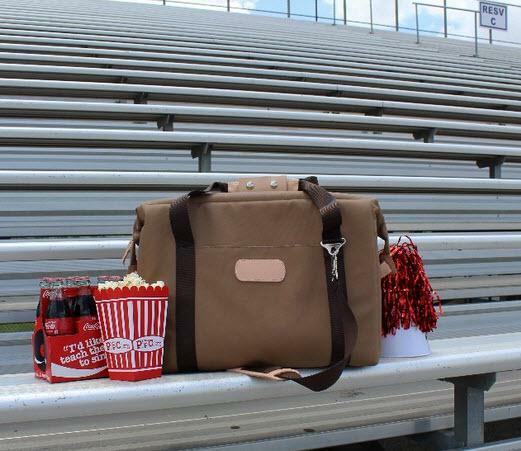 Get one in your team color and tailgate in style. 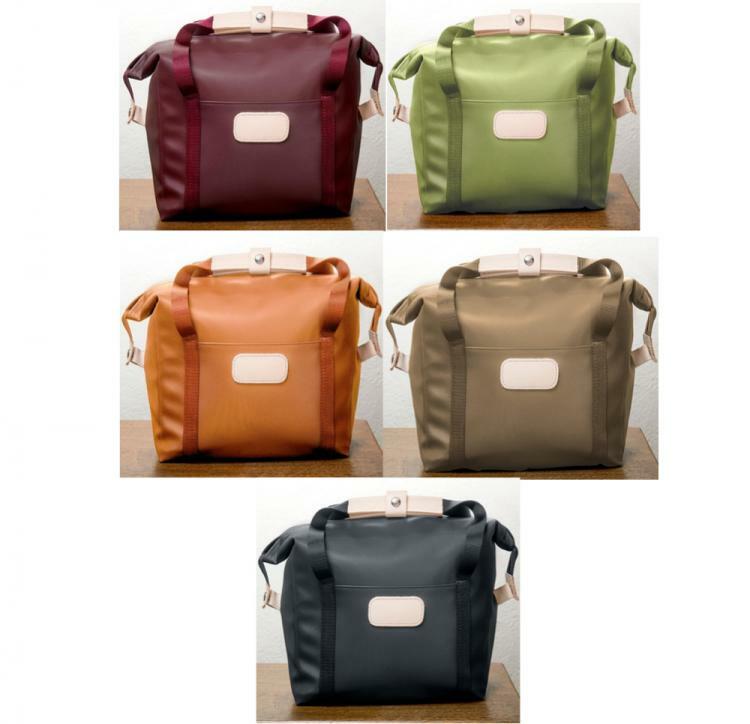 Price: $302.00 In stock! - Browse this brand: Jon Hart DesignOur products are custom made to your specifications. This product ships up to 4 weeks after your order is placed.